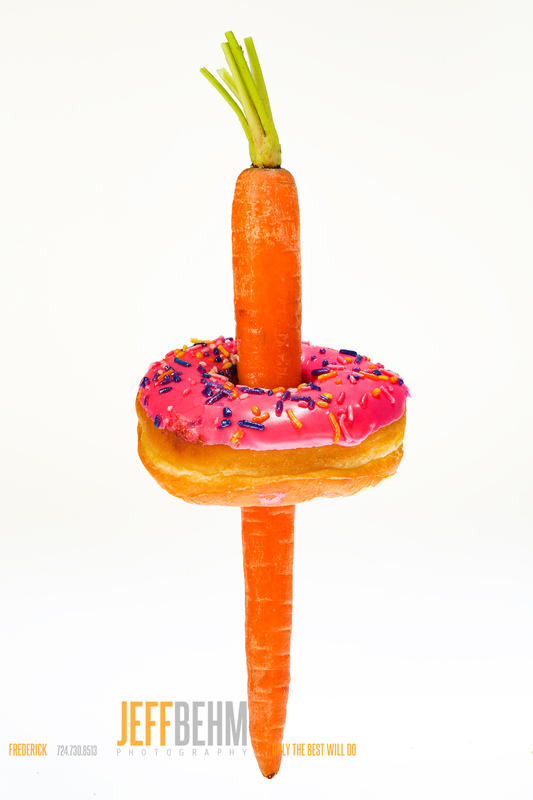 Yep, sometimes its just odd what we get asked to photograph, like this prospective diet book cover….Talk about your carrot and stick approach! By the way, I bought donuts at three different outlets, from Fractured Prune to Giant Grocery to Sheetz looking for the ”perfect” pastry. Turns out best tasting doesn’t necessarily mean structurally sound. But the carrot is organic.